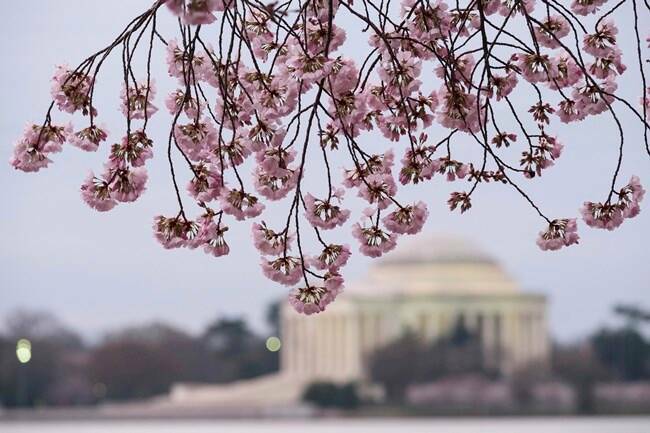 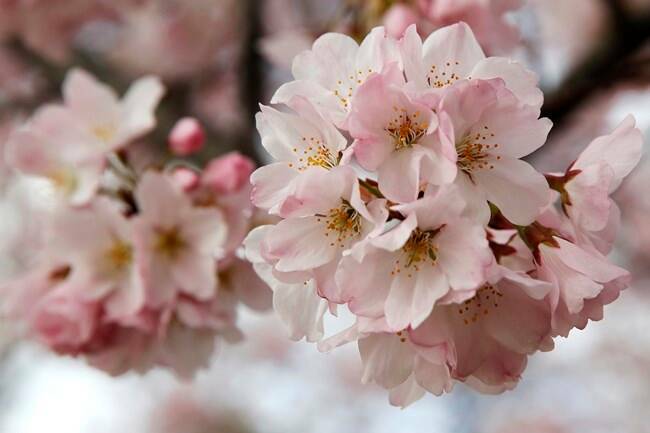 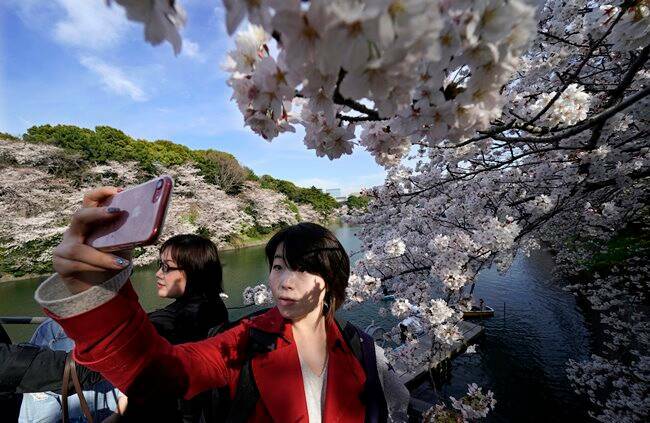 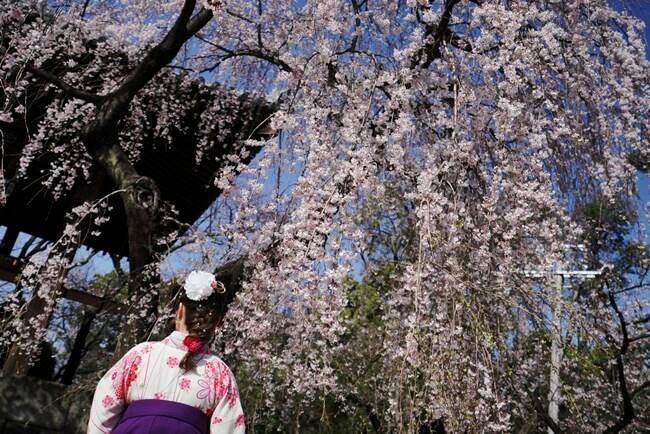 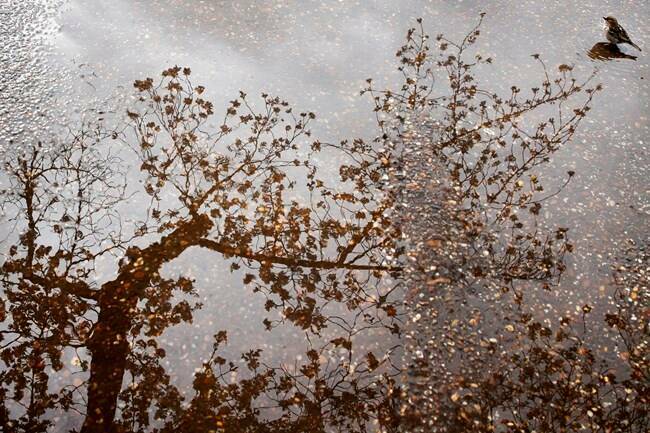 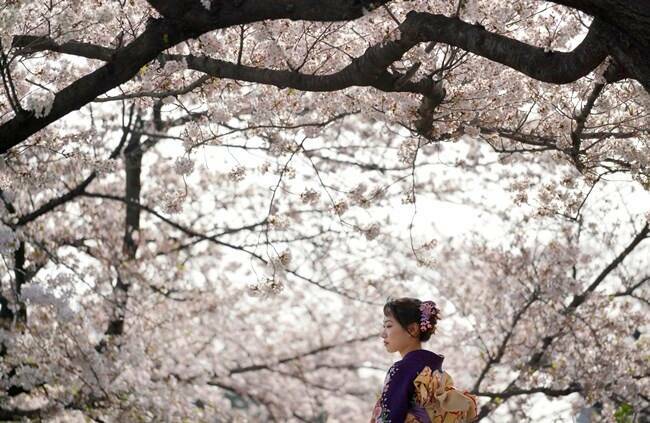 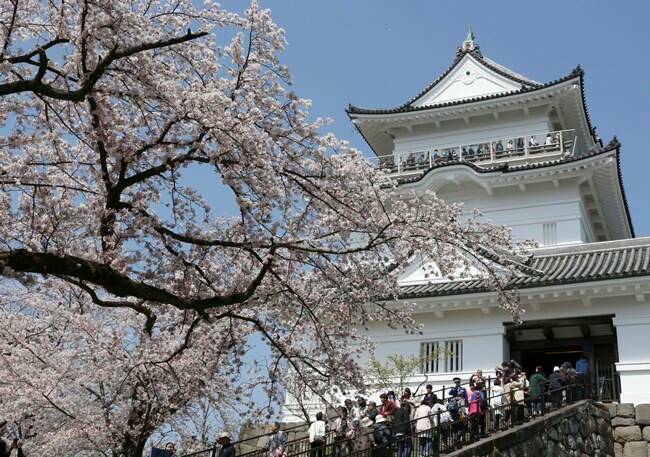 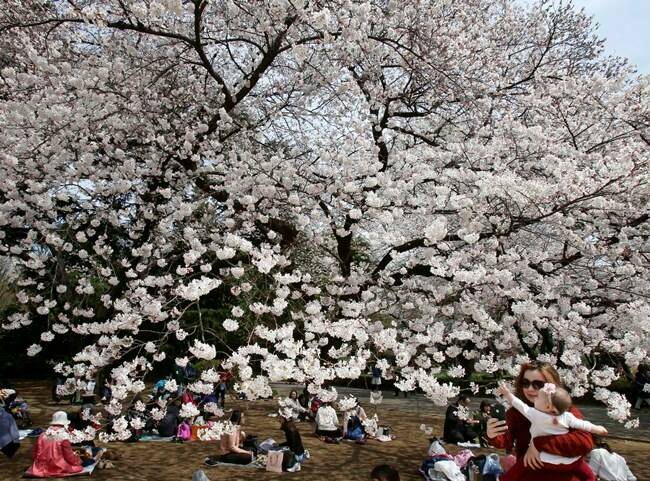 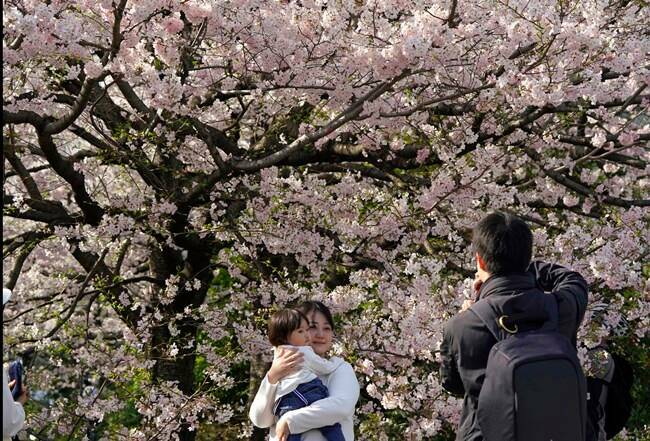 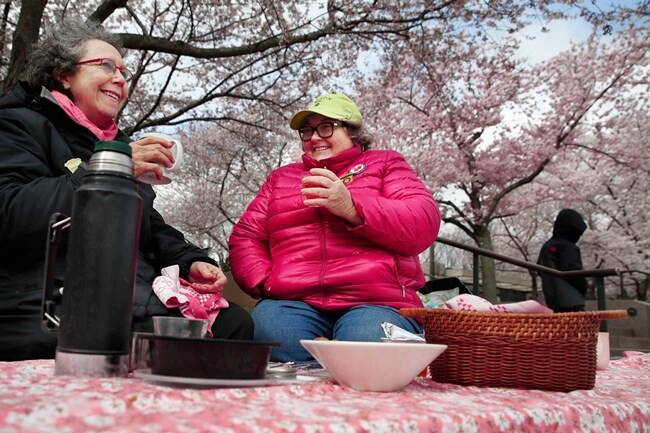 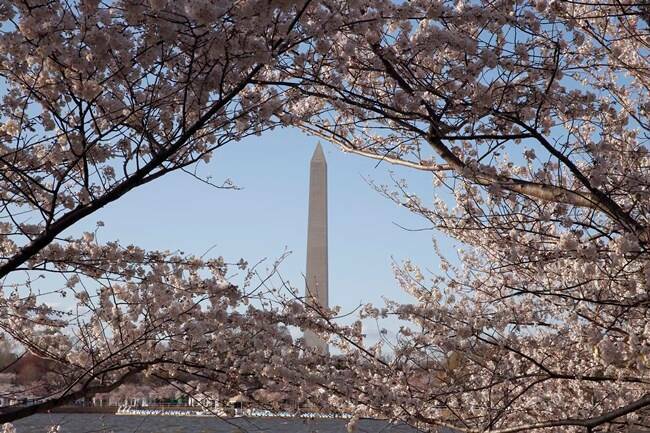 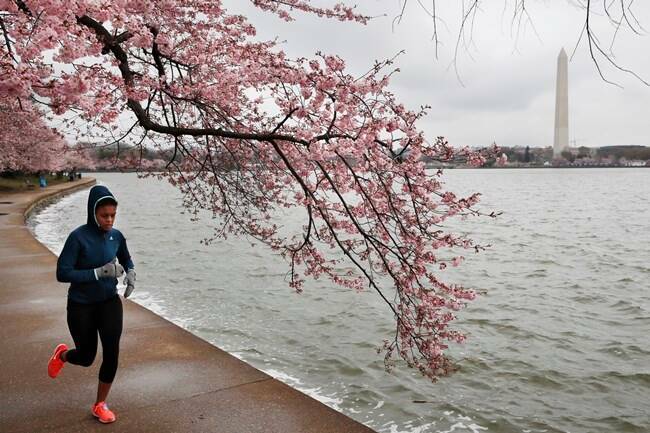 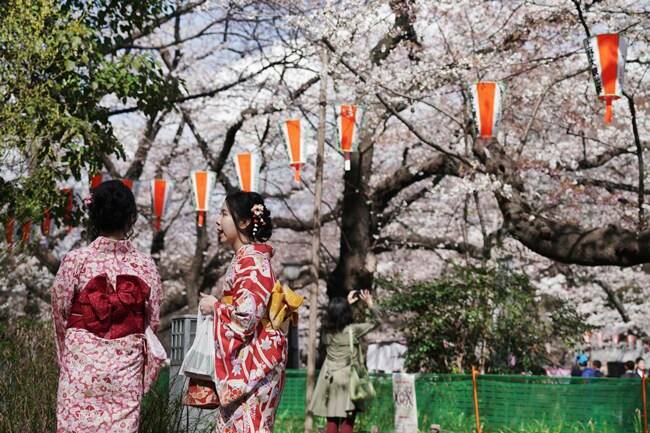 As ice begins to melt, cherry blossoms have reached full bloom in Tokyo and in Washington as spring-like weather descends on the Japan's and US capital. 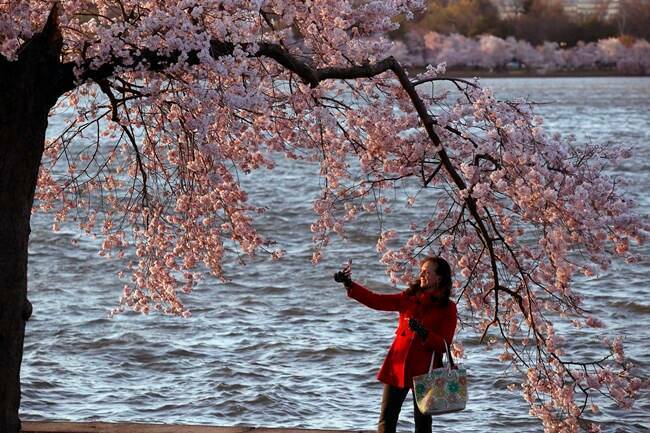 Here are some gorgeous photos of people enjoying the flowers this year. 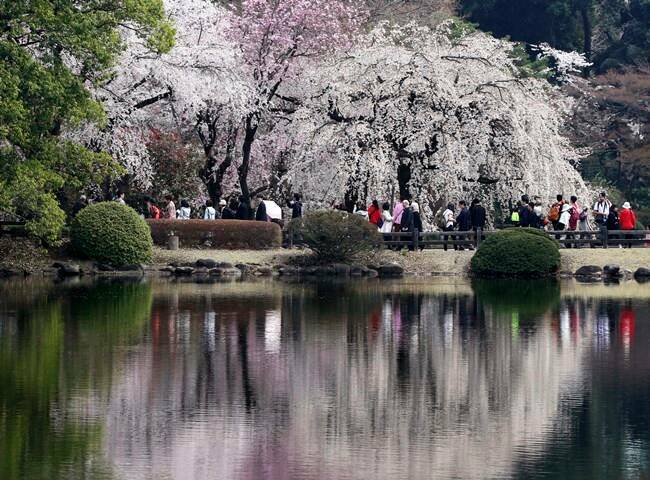 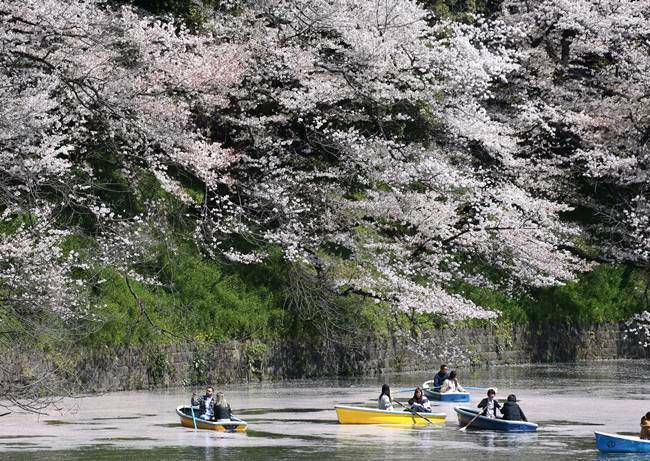 People paddled in rowboats in a picturesque moat lined with overhanging cherry trees and through a cherry blossom petals outside the Imperial Palace in Chidorigafuchi.